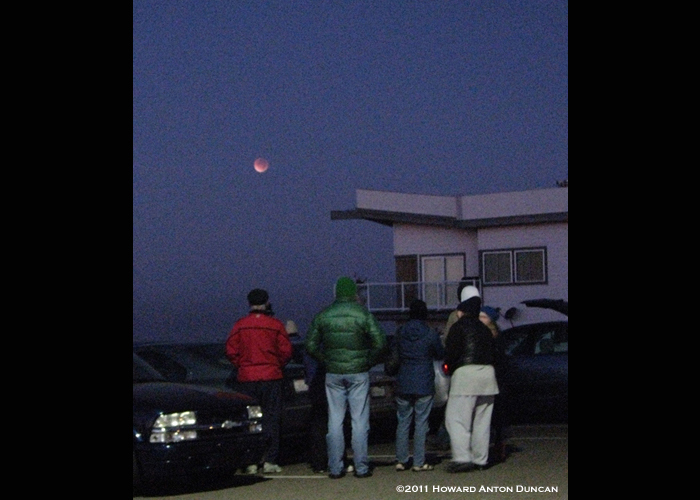 In the early morning hours of Saturday, December 10, 2011, the full moon glowed in the clear pre-dawn western sky. Equal degrees below the horizon in the east, the sun projected Earth’s shadow or penumbra onto the moon. 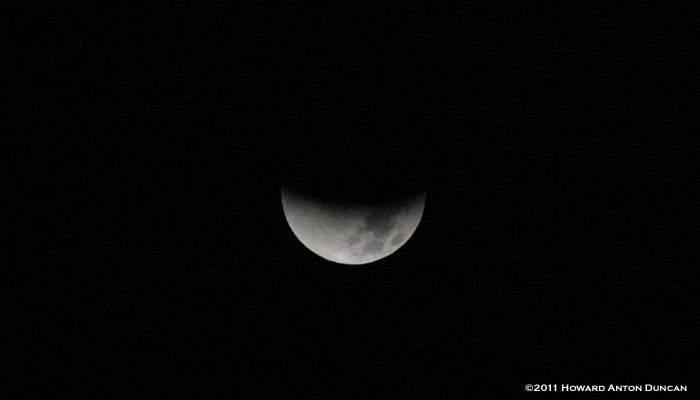 At 4:45 AM Pacific Standard Time, the moon entered Earth’s darker central shadow or umbra. 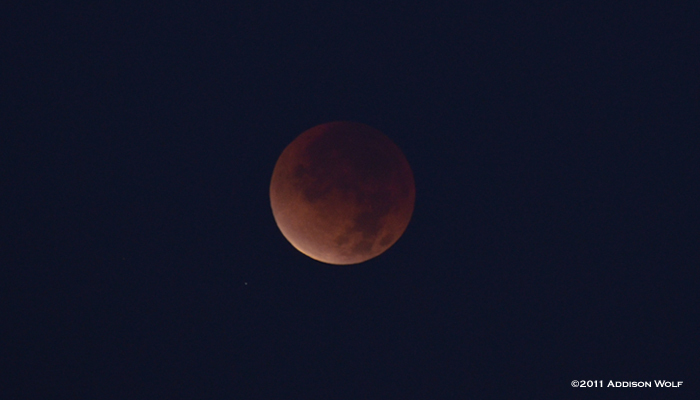 The moon appears rusty red. 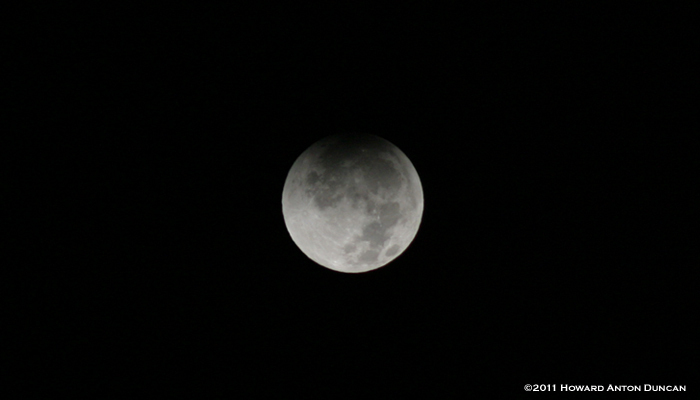 Most of the moon is now in Earth's umbra. The thin white cresent is still in Earth's penumbra. 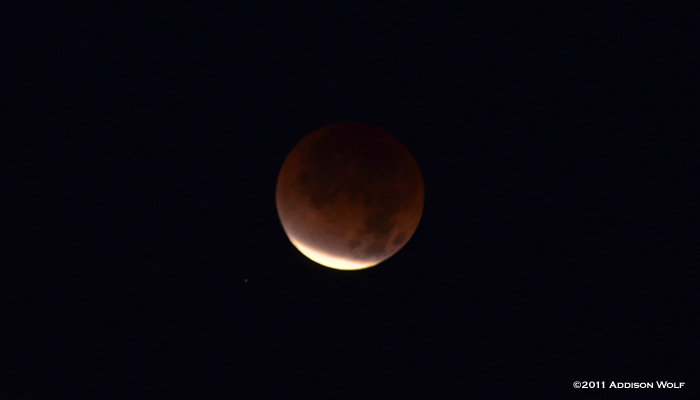 In this photo, the moon is completely in Earth's umbra. Iota Tauri, a star in the constellation Taurus, is visible. 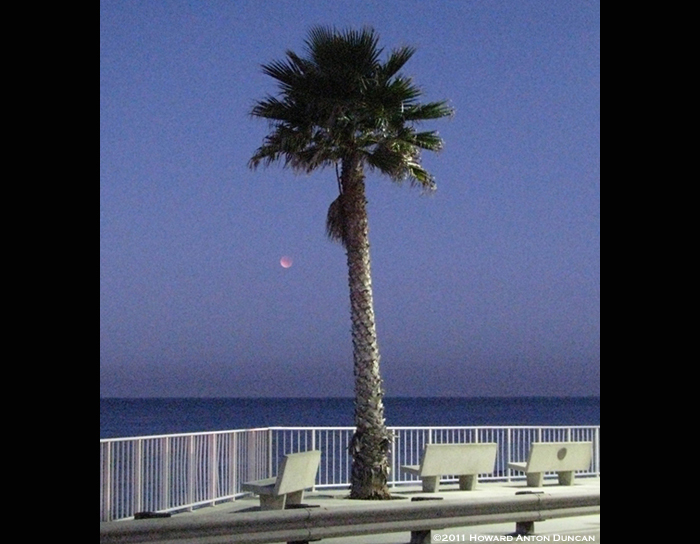 A palm tree, the Pacific Ocean and the lunar eclipse. This eclipse was also observed in Alaska, Hawaii, Canada, New Zealand, Australia and Asia.